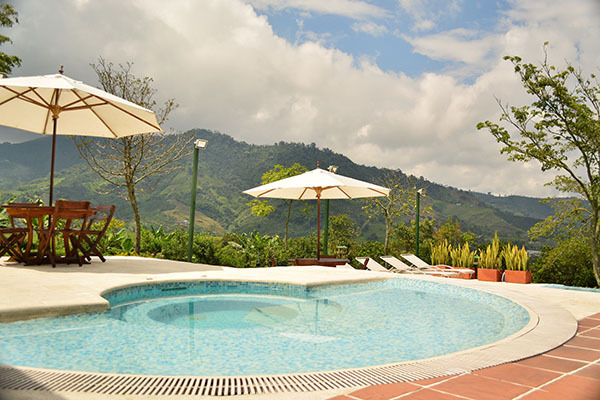 Luxury, exclusive, quiet and safe Rural Hotel located in the middle of the Coffee Cultural Landscape overlooking our mountains and all shades of green, with a coffee aroma. 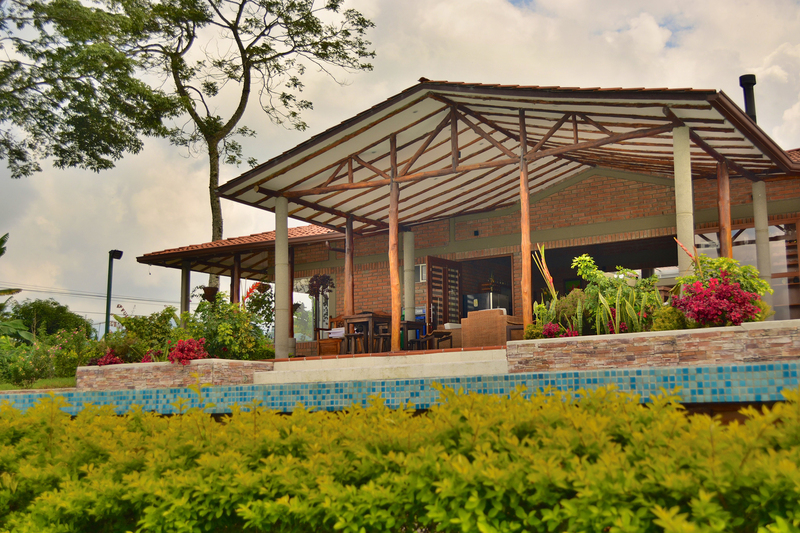 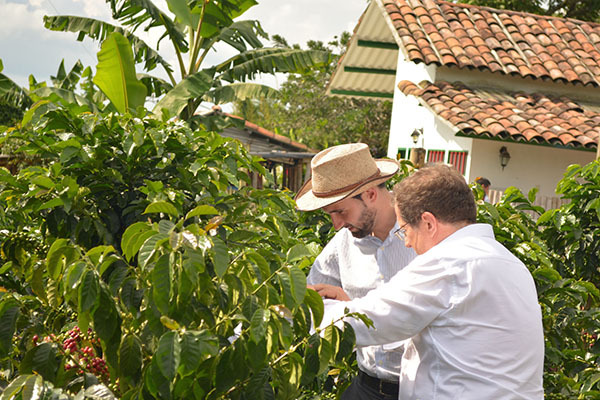 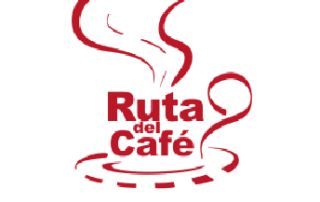  Located 20 min from Pereira, 30 min from Manizales, 45 min from Matecaña de Pereira International Airport and 10 min from Santa Rosa de Cabal, a sustainable destination of which we are part because our objective is to promote the Coffee Culture. 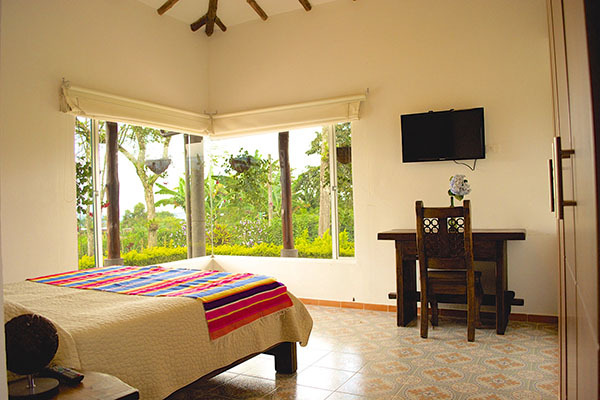 In the middle of nature are our facilities, with personalized attention to feel at home, while enjoying the wonderful scenery and the song of the birds, with a book in hand. 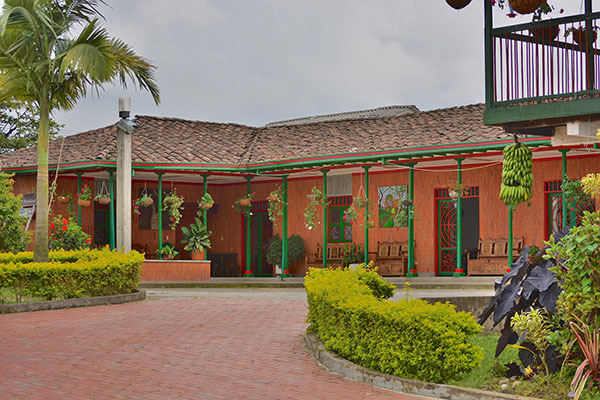  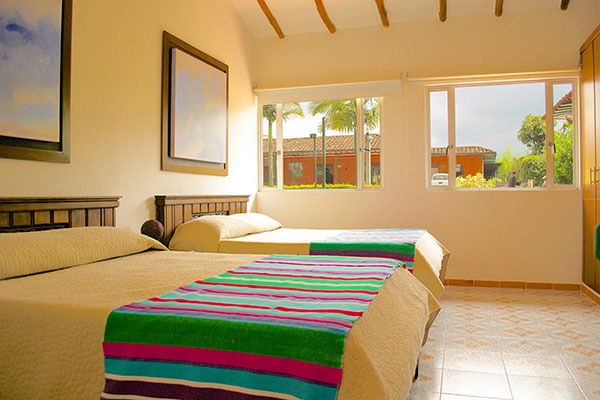 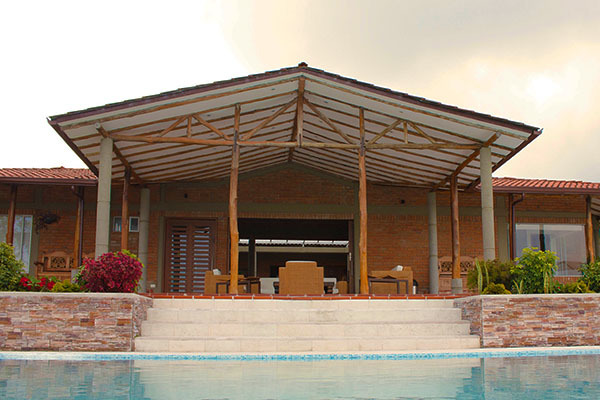 La Finca del Café has 8 spacious and comfortable rooms equipped with T.V. cable, minibar, fans, security box, intercom, cloakroom, hot water, free WiFi and beautiful views of the landscape and gardens. 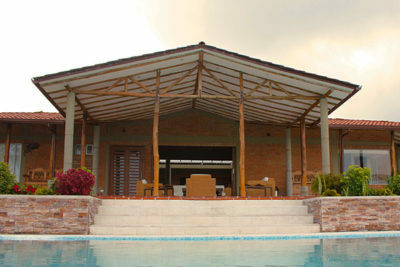 The farm has transfer service from the airport, with an additional cost. 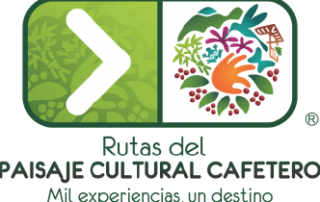 By bus to the Terminal, then bus to Santa Rosa de Cabal and then bus to the farm, in Guacas direction and leave it in front. You can also take a taxi to the farm, from Santa Rosa. 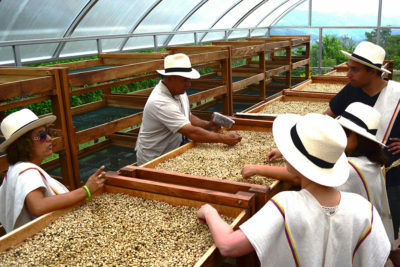 Experiential experience that lasts 3 hours at 9 am and 2 pm.  With a poncho, hat and basket you can experience the process of the softest coffee in the world, from seed to tasting, enjoying nature and its wonderful landscape, making this an unforgettable adventure. 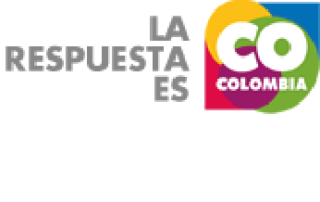 Salento, Cocora Valley (A 1 ½ hour) Plan all day.